Dhaka, 12 August, Abnews: Eid-ul-Azha, the second largest religious festival of Muslims, will be celebrated across the country on August 22 as the new moon of the Arabic month of Zilhaj was sighted in Bangladesh sky on Sunday. 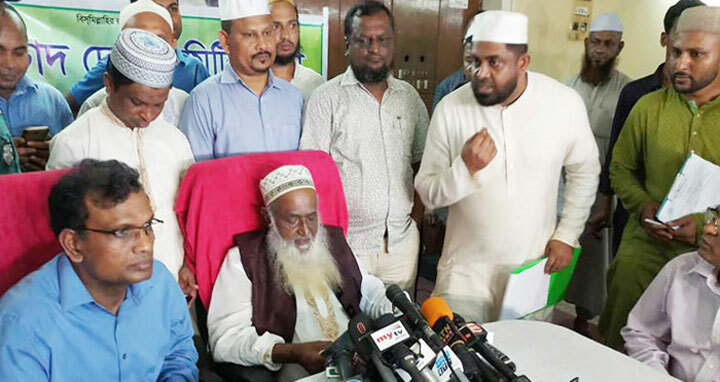 The National Moon Sighting Committee came up with the decision at a meeting held at the national mosque Baitul Mukarram in the city since the moon of the holy month Zilhajj was sighted on Sunday in the sky of Bangladesh, an official of Islamic Foundation told BSS. Religious Affairs Minister and committee chairman Principal Matiur Rahman presided over the meeting.